This final section is for you. My family and I would like to build up a noticeboard of comments and information from other parents. Hopefully together we can create a clear picture of what living with Edwards Syndrome entails, and what milestones these incredible children achieve. You can simply add comments on any issues or concerns, maybe add details of your child’s progress, discuss how you are feeling, ask questions or seek feedback from other parents in the chat room section. You can leave your comments below each relevant page of this website. Thank you! The site is very moving. Cerys would be very proud of your efforts to help others. What a wonderful legacy for her. What a lovely and moving tribute to Cery from her loving family….. It has made me sad but happy to read about Cery… Thankyou and God Bless you all…. A wonderful tribute to somebody who was clearly dearly loved, something Cerys enjoyed in her short life that so many others have to manage without for years on this earth. I have the greatest possible respect not only for Sean and Caroline but for everybody involved, especially those who made such a diffeeence whilst Cerys was alive. In times of econimic harsdhip, it is so heartening to be reminded of what we should really value in this world. It has been lovely to read more about Cerys and her family, I followed your journey on Twitter at the time and my thoughts are with you now as they were then. Thank you for sharing your story with all of us. By reading about Cery’s journey I feel like I got a chance to know your beautiful, feisty daughter. Cerys was full of spirit and gumption, and I am so happy that you got to spend those 16 amazing weeks getting to know her; showing her the world and showering her with love and affection. The website you have created in her memory is a wonderful gift to other parents. Thank you. Thank you for contacting me. I have sent you an email with details of how your cousin can get hold of me. Hi Caroline and Shaun, I finally remembered to look up your website, which I think is so very special. After meeting you at the SOFT conference I couldn’t get Cerys off my mind, and was so devastated when I got your message saying she had passed. For all you others who visit this site, I can honestly say that the words of advice and encouragement that are within these pages brought pain and tears aplenty, and are written from a heart of gold. Like Caroline,Shaun and Cerys we want to share from our experience and support others embarking on or already on their journey. The journey never ends, and wherever you are on yours, don’t do it alone. We live in at the bottom of the country, near St Ives, but Mark and I are both Bristol born. 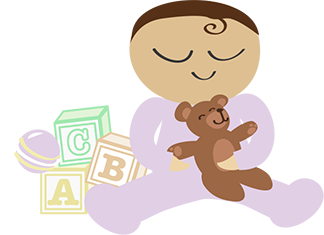 We have, with the support of others set up a website, still in it’s infant stages, to support families in Cornwall which will eventually become a charity. There’s also a Facebook group which is called Parents Palliative Network-this is national and has proved to be a brilliant tool for networking and sharing useful tips, information and being able to talk to other parents who can understand loss at all levels, from pregnancy to diagnosis to death and beyond. These two internet support networks are not condition specific, though there are many parents who have/had children with Edward syndrome, and Aicardi syndrome as myself and one of the other ladies support families with these conditons on other support networks. Whatever your situation,social circumstances, faith, nationality or sexuality etc, you should seek support about your childs needs from the people who often know best-PARENTS. These days we often expect too much of the proffessionals, who are often too snowed under the weight of children born with complex health needs…..they can’t and don’t know everything, but the good ones will point you in the right directions. Apart from that you are now on your own, in a ‘foreign land’ where everything is new and confusing. People like Caroline, Sean, Jenny, Mark and myself have experienced and want to put what we’ve learned to good use, supported by those around us, supporting others. Your website is such a beautiful tribute to a beautiful girl. Thank you so much for all the information you have provided and for sharing your story. 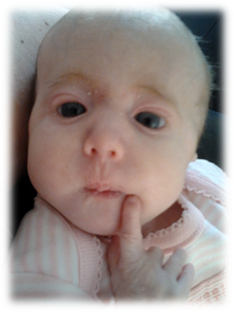 My niece, born with Edwards’ Syndrome, is now 9 weeks old and her story is very similar to Cerys’. If you have any other advice you could offer my sister and her partner, I know it would be really helpful to be in touch with people who have gone through something similar. I have sent an email to you with my contact details. The way that you have chosen to share your lovely Cerys’ life is just very touching and I am sure many have been moved by her life like myself. Also it will give hope and I focus that is positive despite that there are some very raw realities. The way you have taken time and obvious effort is wonderful. Darling Cerys, it is a year since you left us and yet not one day goes by when we don’t think of you or talk about you. Memories of your courage, and that of your Mummy and Daddy, will stay with us always. So much has happened in a year and you have been instrumental in raising awareness of Edwards Syndrome and lending support to others in so many ways. Through you others will know they are not alone. I am so pleased to hear that you were able to find our website and that it has helped you. Mia sounds a fiesty one just like Cerys. Have you tried the Habermann feeder bottle at all? It didn’t work for us, but I know it is used in instances where babies have cleft lips/palates. You may also like to see what Closed Facebook groups are available. I know there are ones called Trisomy families etc, but am sure there are others relating to Patau’s Syndrome if you search for them. If you are able to join them, you will have access to lots of parents who can give you support and advice. I send you and Mia lots of love. Our children are such gifts. What a beautiful website – I love the comments Cerys makes about you and how you have captured her personality. I do feel very sad though that in the SOFT UK newsletter you say you felt you had nothing to compare Cerys’ development with or to assess how well she was doing. I know exactly how that feels as when Saskia was born with full Edwards we had to get information from the States to find a child older than her who was surviving. Saskia has survived a great many years with Edwards Syndrome, as has another little girl not far from where we live – we would have been only to happy to support you and give you information – perhaps with your website and Trisomy 18-13supportuk we can slowly ensure that no parent has to face those early weeks of bewilderment alone. It was lovely to meet both you and Saskia last year at the SOFT conference, and I do hope that you are both well. I did feel like we had access to little information, we were put in touch with Lizzie at the time (via a family contact), had we not had that, we wouldn’t have had anything. Hopefully, we can all start to change that, and enable families to communicate with one another directly to seek advice, support and information. I have also set up a closed facebook group called Edwards Syndrome Families UK, where I hope families can chat easily to one another, and as you say hopefully ensure that no parent has to face those early weeks of bewilderment alone. I just happened to find your site about your beautiful daughter Cerys. How I wish that there had been something similar when our daughter, Emma was born in 1977. In those days we had to go to the Library to find information & if I hadn’t done Biology at school we wouldn’t have had a clue about chromosomes. How strange that Emma was also 16 weeks when she died. The Consultant did talk about us taking her home but it never happened. I am so sorry to hear about Emma. The information vaccum hasn’t improved much over the years, even with the internet most of what I found at the time covered the science around Edwards syndrome, but very little about the day to day practicalities. I hope this website can help bridge some of that gap. Thank you for sharing such a deeply touching story about love. Every baby is precious and I am so glad you created this website that is serving as a lasting memorial for your daughter but also to raise awareness about this issue and provide inspiration for other parents. What a beautiful tribute you have done, it brought tears to my eyes. I look at your daughter to see if she resembles mine as we have a similar story. I don’t want to write too much but would love if u could contact me. My son sent a link to your website yesterday. Your daughter is absolutely beautiful & I understand completely what a blessing she will always be to you & your family. I lost my beautiful baby girl Sophie Elizabeth 10 years ago & our stories are similar in so many ways. Sophie lived for 13 weeks, 3 days at home with us & I will always feel blessed I am her mammy. I wish you peace as you continue with your story. Thank you for your kind words and for taking the time to read Cerys’ story. Am sorry to hear about Sophie, am sure every day of those 13 weeks was precious with your beautiful girl. I have set up a closed Facebook Group called Edwards Syndrome Families UK if you would like to join, its somewhere where anyone affected by Edwards Syndrome can talk, listen and support one another. I wish to personally thank you for your webpage, would it be ok to ask for your email address? Hi I came across this very touching site by accident but very interesting .